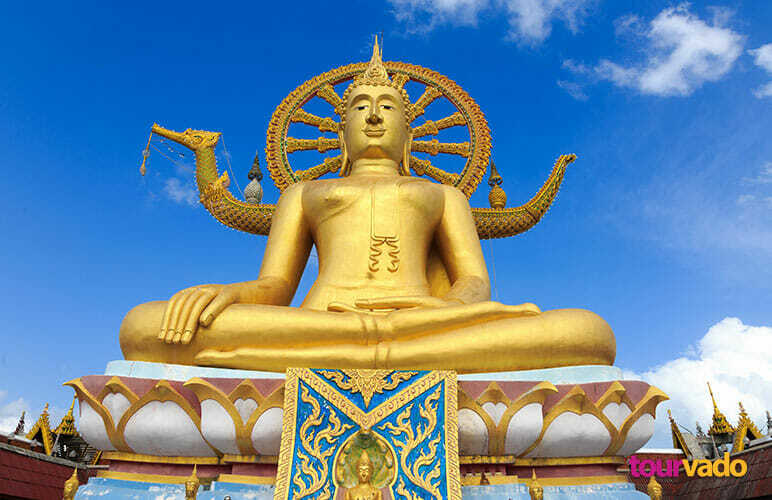 Wat Phra Yai is Samui’s Temple of the Big Buddha, with its 12 metre tall Buddha statue. Built in 1972, this iconic temple sits on a little island that is connected to the main island by a bridge. The temple grounds also house a centre for meditation which is a draw for visitors. When visiting any temple in Thailand, it’s important to follow the standard rules of dress and etiquette which includes wearing long pants, sleeves and removing your shoes before entering the actual temple. 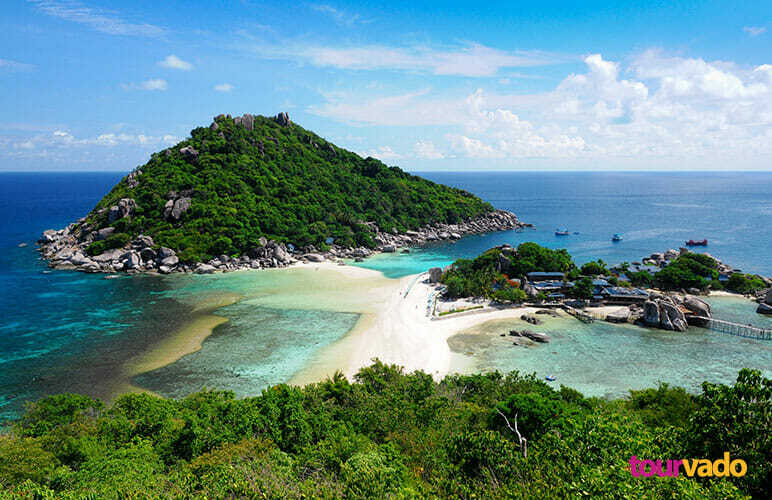 The beaches of Koh Samui are its greatest attraction, and each one is known for its own specific qualities. Each glimmering with sand and shimmering with water; the beaches are a popular family destination in light of the abundant water sports and activities that can be engaged in. Some of them offer beach among tourists, with peripheral of exciting activities like Muay Thai boxing and bungee jumping. Nothing beats an evening at a beachside restaurant where you can enjoy a laid-back dinner right at the water’s edge. Koh Samui’s fresh seafood makes way for all kinds of top-notch cuisine: be it gourmet Thai food or international fare. 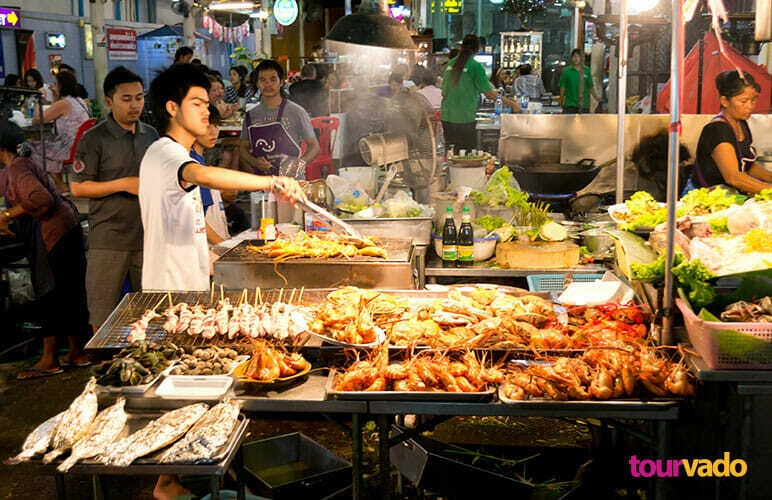 More authentic and highly affordable Thai food can be hunted out on the streets from local vendors. The tourism industry in Koh Samui has paved way for a varied nightlife that spans all the major developed districts. Clubs can be found at the Beaches, with tourist-grabbing exhibitions and shows to hold your interest. This is also the seedier side of the island with its fair share of go-go bars and the periphery of business that comes along with it. Even if they haven’t attended one, almost every visitor to Koh Samui will hear about the notorious Full Moon parties held once a month on neighbouring Pha Ngan Island. Local taxi boatloads of partygoers go out to this island in preparation for the heart-pounding party that rage all night in honor of the full moon. There’s a variety of music playing, and peddlers take advantage of their corner on the market by selling all sorts of souvenirs, food and other ingestibles. 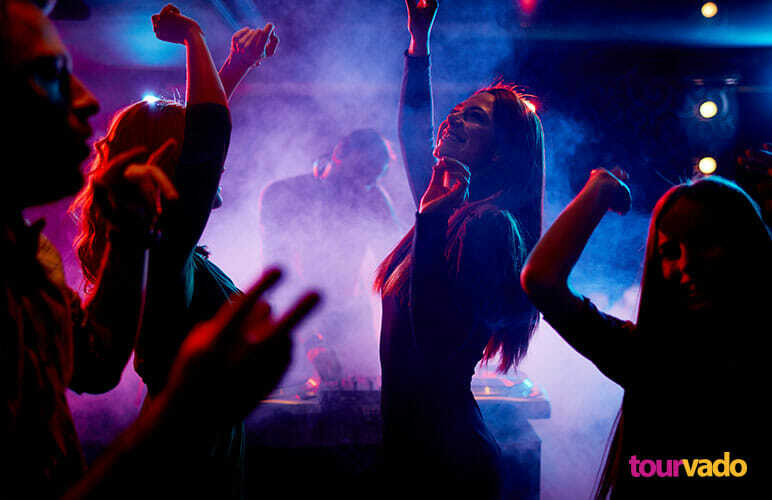 The popularity of this monthly party has led to the addition of further weekend parties to mark less memorable phases of the lunar cycle. 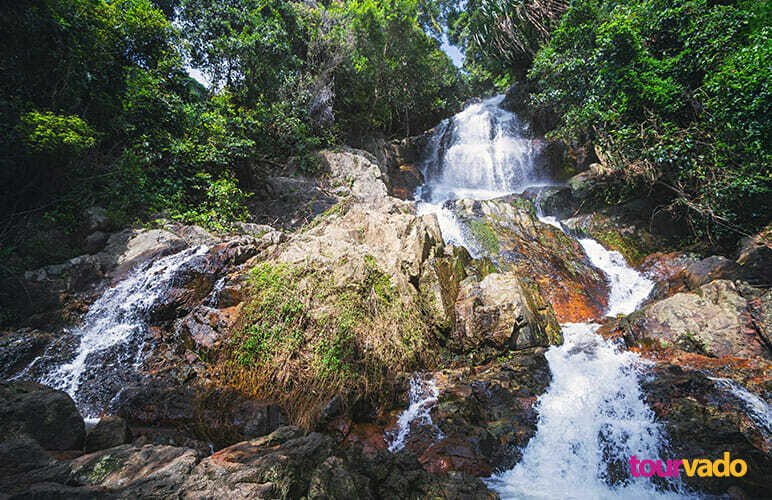 There are several waterfalls on Koh Samui that many tourists choose to visit. Na Muang Fall flows over a very tall cliff and spills into a rocky pool; while it isn’t great for swimming, it makes for wonderful scenery. Its counter is located nearby and is easily accessed by groups of elephant riders and trekkers and is a great place to enjoy a cool, freshwater plunge for a change of pace from swimming in the ocean. Koh Samui is a world-class diving destination and the fabulous offshore coral reefs pose a great opportunity for all skill levels. Beginners can enrol in accredited training courses at many dive shops. 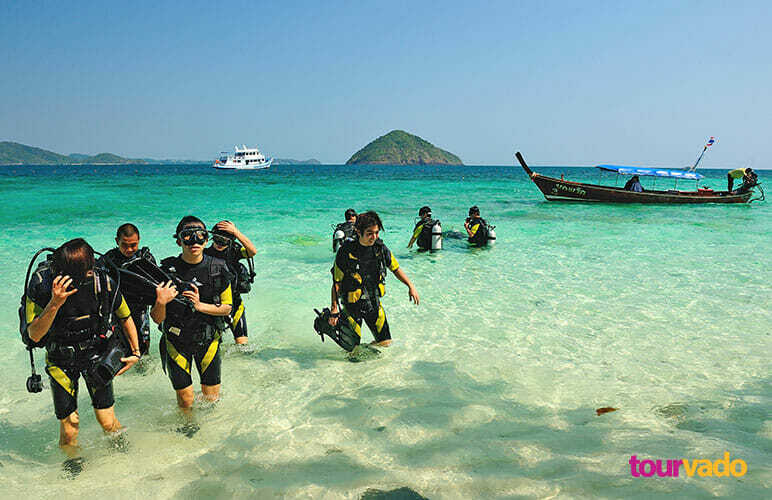 More skilled divers prefer diving at Sail Rock or Ang Thong National Marine Park, an impressive 40-island archipelago that boasts a pristine natural environment. If you’re looking for an escape from the hectic tourism scene, head to the south side of Koh Samui where groves of coconut trees and quiet Muslim fishing towns have staved off the development that has come upon the rest of the island. It’s possible to find a secluded beach to while away some hours, and there are also some unique temples and chedis to investigate. Adventure sports are an everyday pastime on Koh Samui. 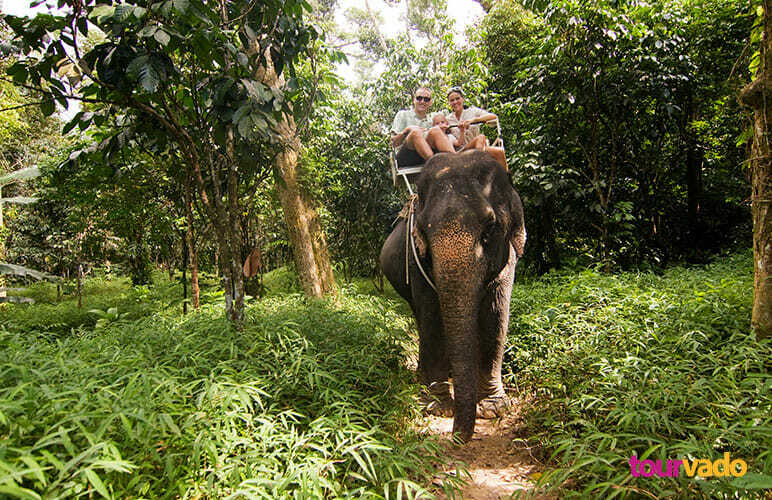 The whole family will appreciate elephant rides in a jungle setting, and multiple agencies can arrange tours. Closer to town, kids will enjoy spending some time at the go-kart track. The display of wildlife at Koh Samui is an amazing sight to behold on Koh Samui Tour. 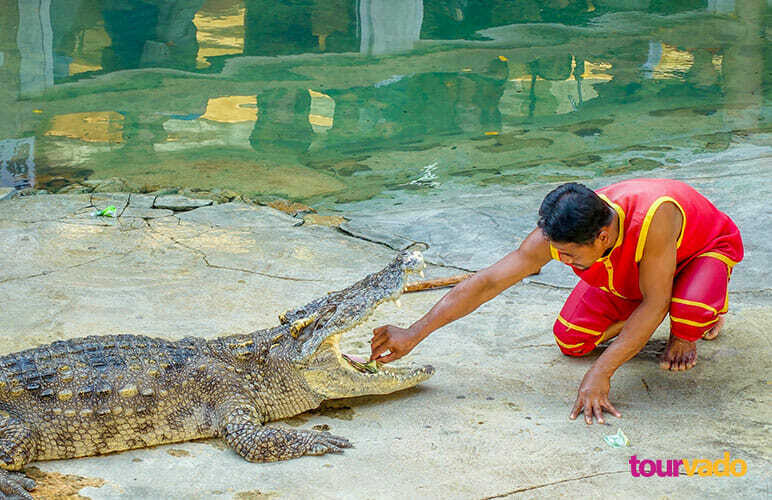 There is a snake farm, crocodile farm and an aquarium all on the island. The nearby Ang Thong National Marine Park Tour also has wild gibbons living in lush, jungle surroundings amid quiet lagoons and limestone cliffs.